Super soft and light shirt dress in an a-line shape.65% Linne. 35% Cotton 40° Machine Wash. Made in ..
Springnews! Fine knitted round neck dress in 100% Cotton.100% Cotton. 40° Machine Wash. Made in Pola.. This ladies portrait collar women&apos;s blouse with imitation pearl buttons and French seams is the..
Meadow, from Dubarry&apos;s new ladies&apos; shirts and blouses collection, is a classic Tattersall .. This long sleeved, fitted ladies blouse features French seams, ruffle detailing and a stand up colla.. Choose our Damla print trim full-zip classic Macaroni jacket this season, perfect for exploring the .. 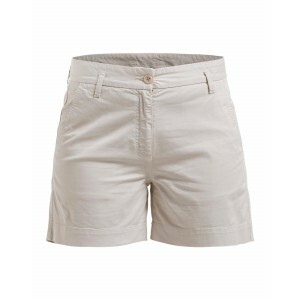 Comfortable, stretchy 4-pocket shorts in a washed cotton blend. 97% Cotton 3% Elastane. 40° Machine .. This long sleeved ladies shirt, with contrast cuffs and elbow patches is a great ladies casual fashi..
Made from 100% linen; the Saunton Shirt in Light Blue has a relaxed fit. Perfect for both smart and ..
Easy to wear and a true weekend staple, this relaxed-fit pop-over deck shirt is a classic British se.. Choose our Holly full zip classic Macaroni sweatshirt for a versatile, hardwearing jacket that will .. This sweatshirt has a soft, aged and lived in look so it will feel like an old favourite from the fi.. The perfect cover up for when the temperature dips, the Hansley 1/4 neck striped sweatshirt has a na..
Our most iconic women&apos;s sweatshirt, the Geranium 1/4 zip classic Macaroni is a staple in our Ma..
Add star quality to your wardrobe with our Helmsley long sleeve shirt in Navy Star. Designed with a ..
Our classic Salcombe shirt now comes in pretty pink. Perfect for warmer days, this lightweight cotto..
A short sleeved printed top that can be dressed up or down is a great addition to any summer wardrob..
Springnews! Fine knitted t-shirt in 100% Cotton.100% Cotton. 40° Machine Wash. Made in Poland.}.. Wildrose, a tie neck shirt for women, pairs perfectly with Dubarry tweed country clothing; equally s.. 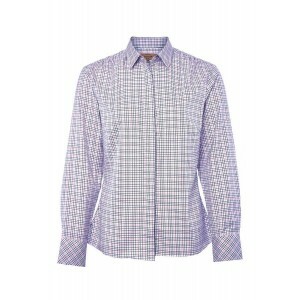 Beautifully tailored cotton Suffolk Shirt complete with attractive design.Details: • Feminine tailor.. It wicks away perspiration and dries quickly to keep you cool and comfortable on a shoot. The techni..
• Classic cotton pique for a comfort feel. • Ribbed collar and cuffs for a superior fit. • 3 button ..
Cut from crisp cotton, featuring unique-to-Joules prints and finished with perfectly placed darts, t.. 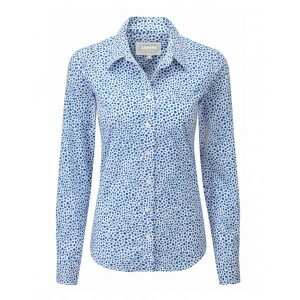 Beautifully tailored cotton shirt complete with a stylish spotty design. 97% cotton / 3% Elastane.Fe..
A woven blouse with a V-neck detail at front. An opening at center back with hidden buttoning.58% Co..
Meet one of our best-loved sweatshirts. Designed with practicality in mind, it&apos;s lightweight, w.. This flattering broderie detail top will make outfitting easy. Carefully crafted from woven and jers..
Our best-loved jersey top is back with another twist. Made from soft yet sturdy cotton, still inspir..
Meet one of our favourite sweatshirts. Designed with practicality in mind, it&apos;s lightweight, wa..
Cap sleeve tee in our super soft viscose blend.Features: • Cap sleeve tee. • Super soft viscose blen..
Our much-loved striped Harbour jersey top is back in new and old favourite colours. Our take on the .. Perfect for work and weekends alike, our new Kenza embroidered jersey tunic is the ultimate all-roun.. 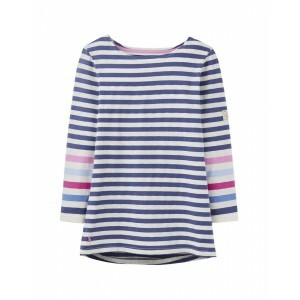 Wear the stylish and versatile Chrissy striped cotton t-shirt this season. Ideal for changeable days..
Classic style meets exceptional warmth and comfort in this roll neck top. Brush backed lined for a s..
You love our Harbour top so much we&apos;ve extended the range to include a lighter weight version. .. The relaxed fit of this classic striped t-shirt will make it a top that you&apos;ll reach for time a..
Our Tenby slub cotton t-shirt is the soft, comfortable and stylish choice that is sure to go with an..